In addition to the Korean Service Providers going live with their token 5G networks on 1st Dec, AT&T goes live today with 5G! 5G connectivity has rolled out in Atlanta, Georgia; Charlotte, North Carolina; Houston, Texas; Dallas, Texas; Indianapolis, Indiana; Jacksonville, Florida; Louisville, Kentucky; Oklahoma City, Oklahoma; New Orleans, Louisiana; Raleigh, North Carolina; San Antonio, Texas; and Waco, Texas. 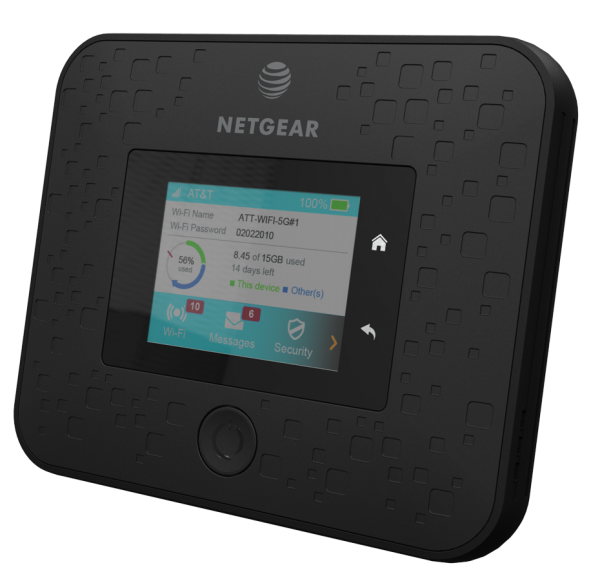 Among the first consumer purchasable 5G device - NETGEAR’s Nighthawk® 5G Mobile Hotspot featuring QCOM’s X50 5G NR chip. AT&T Inc. T -2.18% gained attention in recent days for putting “5GE” labels atop some customers’ Android smartphone screens. The E stands for “evolution,” a sign of the added bandwidth those phones can access as the company lays the groundwork for full-fledged 5G service. AT&T finance chief John Stephens said the designation is appropriate because the company is upgrading cell towers with new equipment that will immediately improve wireless service quality. Those costly installations will eventually support full 5G service when the company updates antenna systems with newer software, a relatively inexpensive improvement. PS: Interesting that he names the Five-Eyes for “consultations”. Haha...so funny that the anchor lady persistently focused on the "Huawei security threat" and what's Singapore stance on this. Clearly we do not have an answer for that. ps: Self-Driven cars won't depend on 5G to make braking decisions!! That'll be done autonomously within the car (like how Tesla's work currently). The 5G connection will mostly be for Traffic & Telemetry. Real-world 5G experiences... lots of teething problems obviously. This is one tech that we as consumers can afford to take our time to adopt it while we wait for the ISPs to work out the problems and more importantly the coverage range. Definitely we can see results in the next 2 - 3 yrs. Back to Qualcomm for Apple! !